Often, we find ourselves churning out countless articles at lightspeed while hunched over in a chair for hours on end, figuring out the perfect opening line or clincher. Honestly, half the time we could do with a pair of strong hands on our shoulders, delivering a great massage to just soothe out all our stress knots. 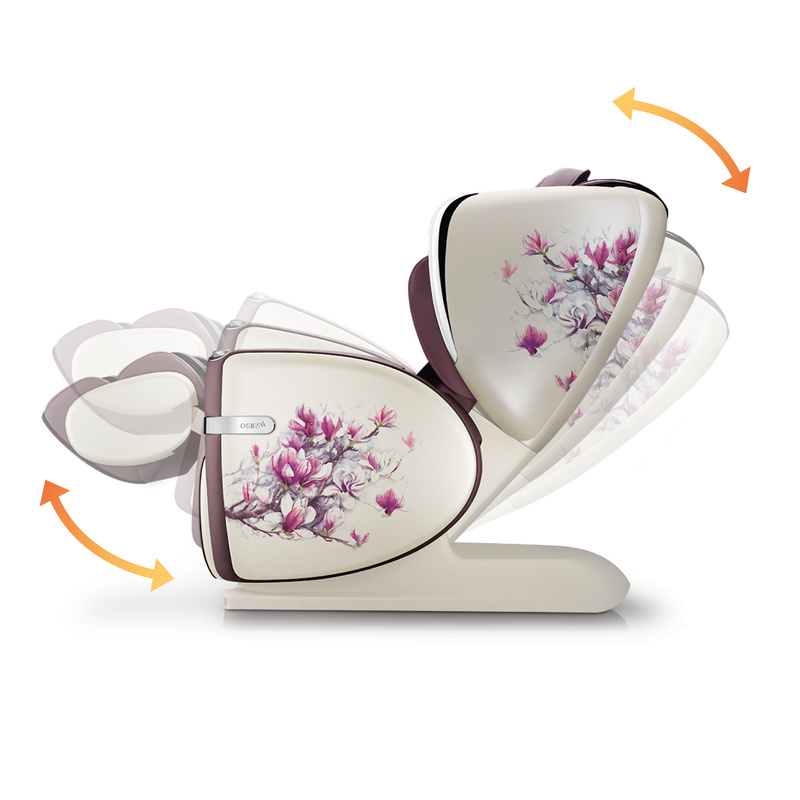 But with OSIM’s latest release, we think we’ve found ourselves a one stop solution. Coming in the form of a brand new product, this panacea has been christened the uLove 2, an all in one massage chair provides not one but two pairs of hands to ensure a full body experience, in a technological first. The uLove 2 promises an unparalleled massage chair experience, and is your ticket to hours of first class pampering, simply by sitting back and letting the chair do the work. When we were introduced to their latest product OSIM quite literally made sure we knew we were about to step onboard a First Class Experience, complete with a ‘boarding ticket’ as we prepared to embark on our flight with OSIM Air. This was a truly first class experience, with a personal steward bringing guests into the lounge, offering us a cold towel to cool off and wipe away the glistening sweat on our faces from the humid morning, along with a cup of TWG tea and Old Seng Choon biscuits to nibble on. As the boarding call was made, our steward then brought us to our seats in a makeshift aircraft, where we took our seats in the uLove 2, resembling a luxurious, spacious First Class seat with plenty of legroom, as we readied our bodies for the hour of pure bliss we were about to receive from this chair. From the moment one sets eyes on this thing of beauty, you already know your body’s in for a real treat. 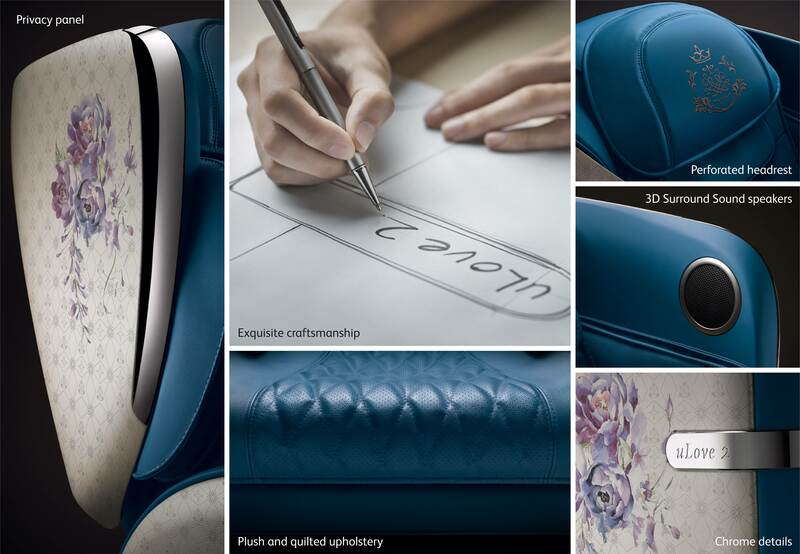 Besides its signature blue, the uLove 2 comes dressed in a series of pleasing colours with intricate, hand-painted peonies or noble magnolias, while the plush, quilted leatherette skin of each chair oozes luxury. 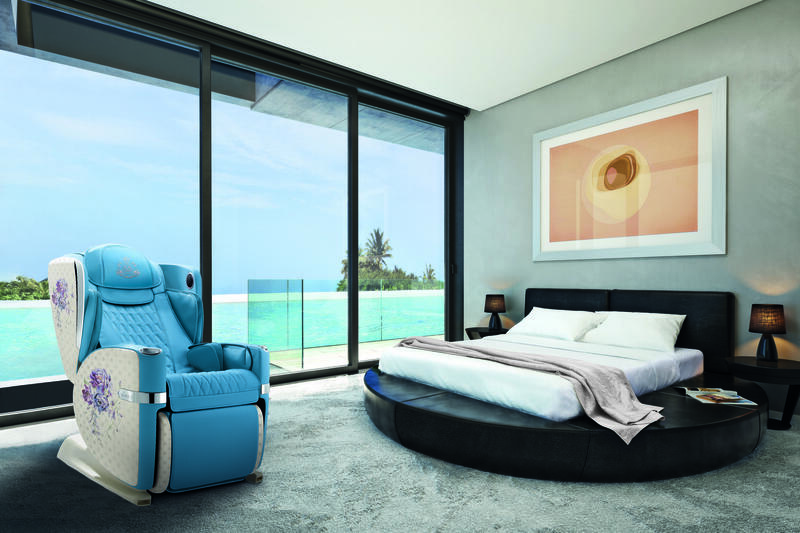 An easy fit in any home, this is one chair you’ll find hard to resist sinking your body into. The biggest highlight of the chair is of course, its unique, patent pending 4-Hand Massage technology. Modelled after the highly coveted synchronised 4-hand massages offered by the most luxurious spa, one can feel as if two masseurs are simultaneously pressing and pulling at both upper and lower body, in a symphonic, synchronised double massage for double the pampering and double the relaxation. These can of course, be adjusted in terms of strength and frequency, and assure that users can be lulled into a state of deep relaxation in half the time. In addition, one could practically imagine themselves on a luxury airline as they sit back in the chair and feel the ‘hands’ squeeze away all the tension. The uLove 2 comes with its very own personal entertainment system, with a 3D Surround Sound system and Bluetooth music playback. The revamped uLove 2 speakers boast well-balanced and articulate audio, and are designed, positioned and optimised for the best resonance to cocoon you in pure acoustic bliss. Heck, pull out the foldable table, put your portable device on it, and watch your favourite show as all the knots and tension gets rubbed right out of you! The uLove 2 already comes with a signature suite of auto massage programmes to address every lifestyle need, ranging from a Sports massage program to ease muscle tension to a pampering Beauty massage program to tone and firm. 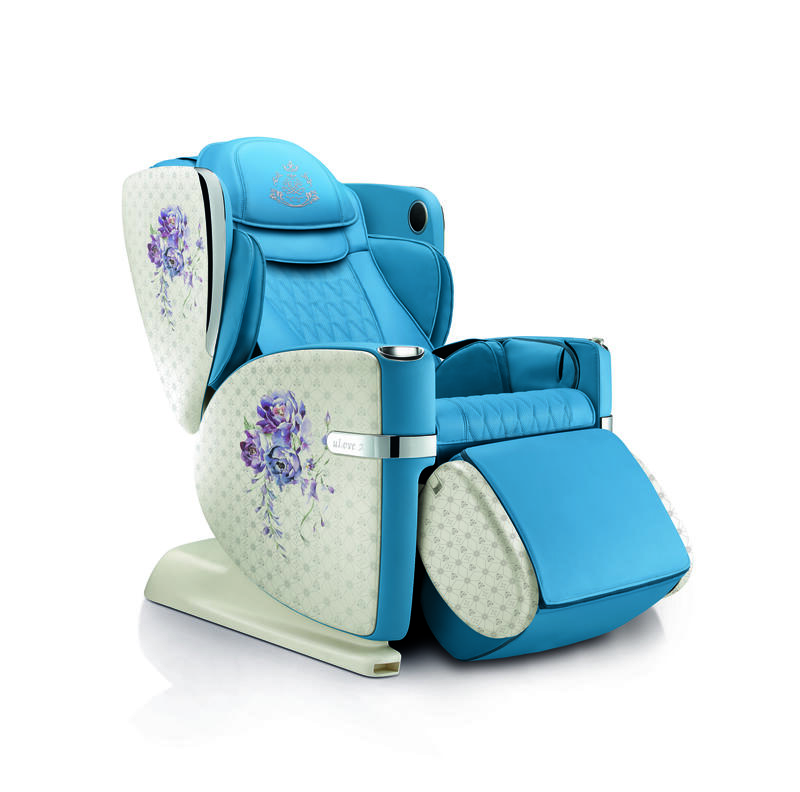 With the OSIM uLove 2 app, one can even download consistently updated and refreshed programmes online and complementary music, or save customised settings to input and activate, so each and every family member can also luxuriate in this incredible chair and enjoy a seamless massage experience remotely controlled. An all in one first class experience bundled into a single massage chair, the uLove 2 makes for a perfect birthday gift for that friend or family member always in need of a massage, while also being sleek and fashionable enough to belong in literally any household, regardless of age or background. Overflowing with lux and promising an experience like no other, get the uLove 2 today and say goodbye to your worries, one splendid massage at a time.